2 Beds 2 Baths 1,291 Sq. ft.
Nesteled amongst the trees is this amazing house waiting for you to call her home! Fresh decor! Easy care flooring with porcelain tile throughout home! Split bedrooms! Sun Tunnels! Bright front kitchen with breakfast bar open to dining area! Separated reading-family room area! 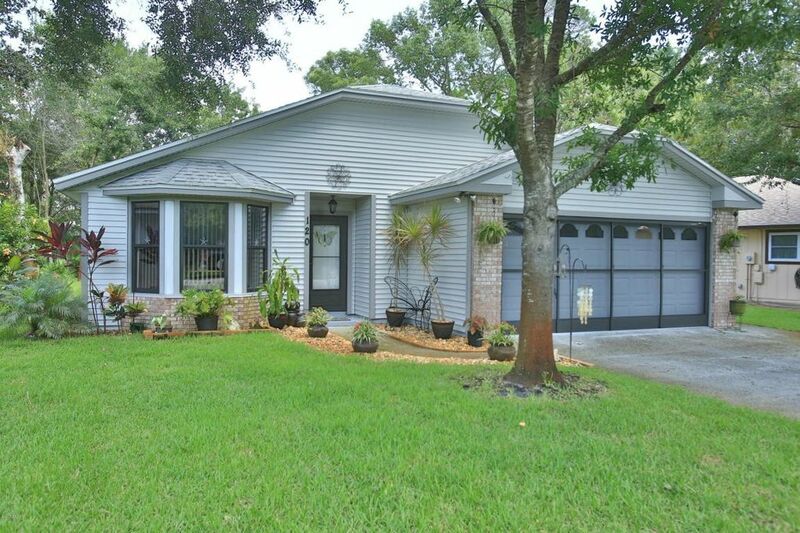 Situated in the Active Adult 55+ community of Summer Trees III. Community fee includes grass cutting, house painting, community sub terr. termite bond & digital cable tv! There is a community clubhouse with screened pool! Tennis courts! Shuffleboard! Miles & Miles of shaded bike & walking paths! Have an RV? Community storage available for minimal yearly additional fee! RUN... this one won't last.